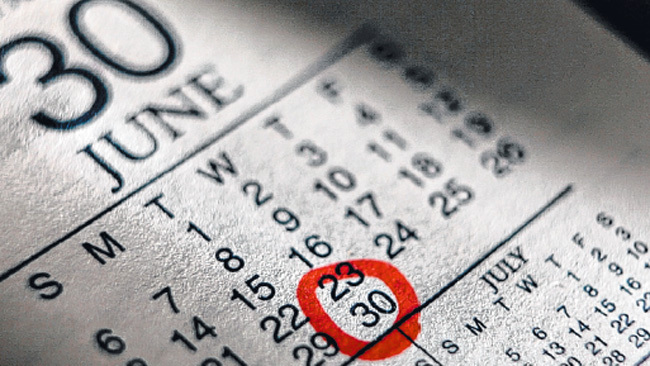 As we head towards the end of the 2013/2014 financial year and you’re all looking at new cars and contacting the friendly, knowledgeable staff at Private Fleet, it’s also the end of the first month of June. The southern part of Australia is being swept by an almost Antarctic blast of cold, high speed winds and with the Australian Alps copping snow in levels that haven’t been seen in years, it’s apt that we take a look at driving in winter. First up, tyres. These are, criminally, the most underrated part of any car on the road. Tread depth is the first thing to have a look at; check out the outside and inside part of the tread, is it worn, looking feathered? Across the tyre, does the tread look shallow, the rubber shiny? Just about any tyre retailer can assist in giving you some idea about this even if you don’t know the first thing. Then there’s the tread pattern itself. Cheaper tyres tend to have both lesser quality construction and average tread patterns, effectively offering up a less than ideal compromise when it comes to handling. Better brands will be designed to give better grip, with the tread (or block) pattern holding on better. Oil change time is a given; oil comes in different “weights” and oils designed for winter or cold climate usage will have a W in the code. If you were to pick up, most commonly,a five litre container of oil with something like: 10W – 30, it means that the first number is rated for the viscosity of the oil under winter conditions and the second at 100 degrees Celcius. This is called a multigrade oil and the higher the second number the THICKER the oil will be. 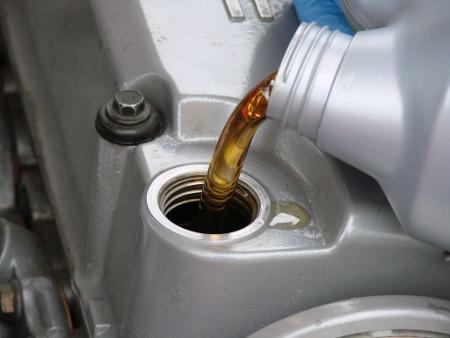 It’s more likely that your car will already have multigrade oil in it, but a yearly (or even six monthly) change will go a long way to looking after your engine. I’m sure we’ve all heard of spark plugs and these little fellas can be responsible for making your car run smoother when they’re new. When everything else is running as it should be, a properly set spark plug can measurably help in the overall efficiency of the fuel consumption. Sure, they may cost a bit, but it’s money well invested and, over a longer period of time, will give you more value than the equivalent once off cost of a night out with a good dinner. Part of the cost goes towards the actual material used, such as platinum or neodymium, rare earth metals that have an astonishing cost per kilo. 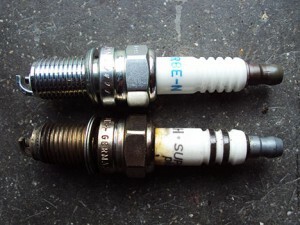 There’s also “heat temperature” range plugs, designed to burn or ignite across a range of combustion temperatures and tend, nowadays, to be for older generation cars. 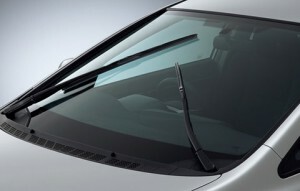 When we drive we should be looking through a nice and clean windscreen, however when it rains, even a little, we should be using the windscreen wipers. But if they’re old, they’re accumulated dirt, possibly become brittle and may scrape against the glass, which will then make it more prone to sludge and dirt not being easily washed away. Periodically you should also be checking your wiper fluid levels and putting in the proper cleansing agent (Windex is NOT considered the right one). You may have noticed, as you drive around, how many vehicles seem to have faulty indicators. When a bulb is blown the ticking noise you’ll hear inside the car will be quicker, a simple sign something’s not right. Any auto electrician can sort you out and remember, indicators are NOT fitted as an optional extra. 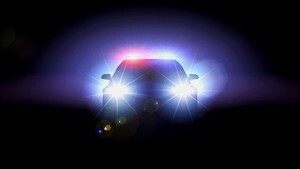 Same goes for headlight and tail light bulbs; have someone stand a few feet from the front and rear of the car, turn on your headlights and flick between the parkers to low to high beam. Use the brakes and if any bulb is out, visit your local auto sparky. Driving a car safely is one thing, driving a safe car is another. With weather conditions during winter so changeable, a few simple steps to check out your chosen chariot could make a lot of difference to fuel consumption and, importantly, the safety of yourself and others on the roads. Just How Reliable Are Those Bells And Whistles? Modern times bring new models, new versions and new results. Bigger, brighter better…well, better sometimes! One of the issues with applying new technology in new vehicles is that further down the track that we learn how reliable and robust the latest new technology is in practice. The American consulting firm JD Power has reported that buyers of new cars are experiencing more problems in their cars compared with last year’s results. To keep up with other makers, car manufacturers are pressured into adding new technology as well as creating a new model quickly so as to stay ahead and keep exciting. 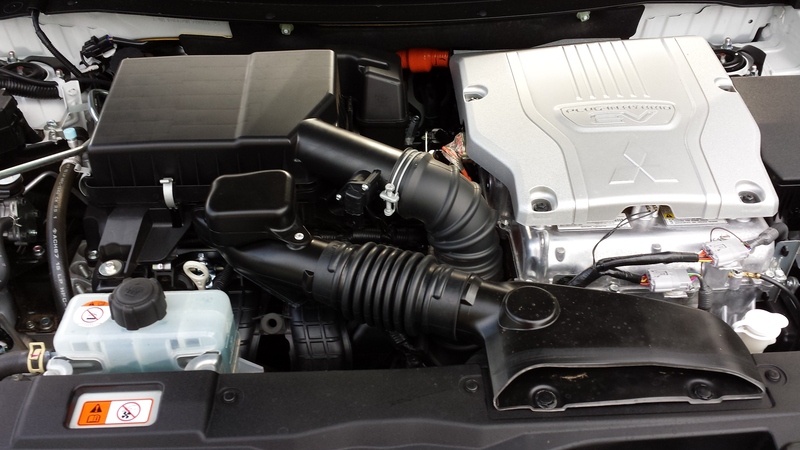 Mostly, new car buyers are complaining of electronic components not functioning as they should. They appear to be frustrated with Bluetooth, voice recognition and navigation equipment not working properly. What’s the use of having satellite navigation if it’s not getting them to where they want to go (a bunch of bad sat-nav stuff-ups have been collected here)? Or Bluetooth communications that just cann ot recognise your phones or and voice recognition systems that won’t understand them? What a nightmare. I remember using some of the new voice recognition software that just wouldn’t work as it should – there are few things more infuriating! The results from Porsche, Jaguar, Lexus, Hyundai and Toyota were very interesting. These were the brands that performed the best. Unfortunately, Fiat, Jeep, Mitsubishi, Scion (a marque we don’t have here) and Mazda had the most problems. 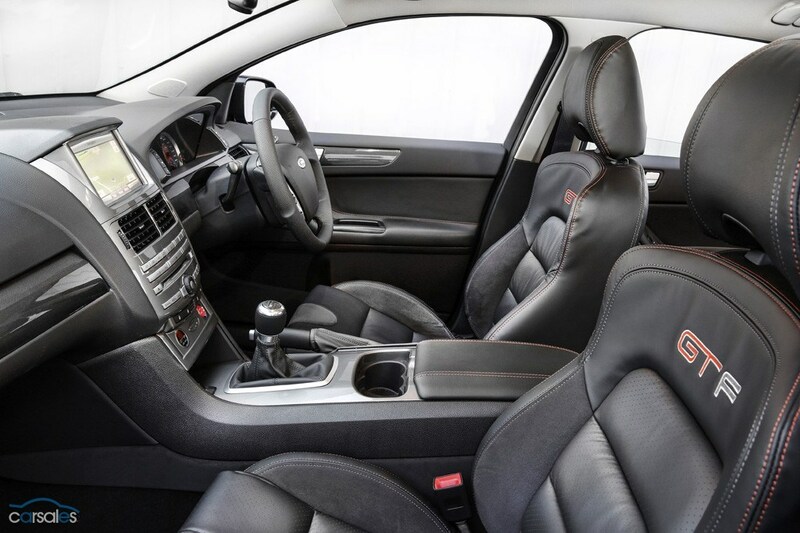 It is thought that the particularly severe winter in the Northeast and Midwest US contributed to more complaints about heating systems, engine and transmission problems, and exterior trim and paint problems. On average, buyers reported 116 problems per 100 vehicles in the first 90 days of ownership. JD Power surveyed 86,000 new car owners between February and March 2014. This is a survey that should be closely watched by those on the lookout for a new car. I wonder if this will be the newest high priority item on the list for those looking for a new car now that safety in new cars has improved so much across the board. Porsche has won the top spot for least complaints for the second year in a row. It’s sad to see Fiat last on the list, as I rather like them. The survey showed the following results. Obviously, Porsche performed the best at number 1, so the placings follow in order with Jaguar in number 2 spot, and so on…: Porsche, Jaguar, Lexus, Hyundai, Toyota, Chevrolet, Kia, BMW, Honda, Lincoln, Audi, Chrysler, Cadillac, Mercedes-Benz, Volvo, Ford, GMC, Ram, Buick, Nissan, Dodge, Land Rover, Infiniti, Volkswagen, Acura, Mini, Subaru, Mazda, Scion, Mitsubishi, Jeep, Fiat. Other car marques didn’t make it onto the list as there were too few stats to play with. It’s that time of year again, where manufacturers and their dealerships do their best to lure you into the office and sign on the dotted line, with that signature an offer to buy a new car. There’s always savings to be had, especially on vehicles about to be superseded such as the Nissan Dualis but beware, not all vehicles are easily available and think about service costs as well. Before you go shopping at a dealership then come back to Private Fleet, set yourself a list of what you want versus what you need. When, in a previous life, I was a car salesman, I was at one dealership that sold four brands. We would have people come in and ask for a diesel, automatic, people mover and immediately head to a petrol, manual five seater SUV….why? Because it was close to $16000 cheaper, BUT it wasn’t what they asked for. At another dealership I had some potential clients, a family, shopping for a car for mum and dad. The car they were looking at was a small five door hatchback. No problem with that, the problem was that they were morbidly obese and restricted quite severely in their movements. The car they were eyeing off was unsafe and unsuitable. Another thing to think about is the distance you drive and considering most people use their car to drive to and from work, the question will be either petrol or diesel. Diesel certainly has a couple of immediate advantages, being a flat cost (not subject to the price cycle petrol inexplicably has) and economy. 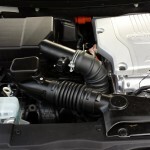 However, if you drive short to medium distances constantly, the diesel engine’s particulate filter isn’t brought up to the correct operating temperature and will end up clogged, potentially causing engine damage. In the city or micro car class there’s a few cars to think about, such as the Mitsubishi Mirage, Suzuki Alto, Nissan Micra or Hyundai’s i20. These cars tend to have small engines, around the 1.2L capacity so can be quite frugal. However, as they’re intended to be used in urban areas, they’re generally not considered ideal for country runs. Another thing to look out for here is the transmission. The Australian obsession with automatics is generally brought up straight away, however most of these kind of cars tend to only come in manual as the torque output makes a traditional auto useless. The growth of CVTs (constant variable transmission) in this class is rising though, allowing more choice. Then there’s the type of fuel they run; the Alto is specified to run only on Premium, which at the peak of a price cycle can make the running costs considerable. For something like the Mirage, which is powered by a three cylinder engine, it comes standard with a five year warranty and requires a dealer service only once a year, saving on costs. And then, like any car, there’s the choice of paint. This is one of my personal bugbears; with so many cars offered in a broad range of colours and having virtually all of them in a metallic paint, it seems ridiculous to ask for an extra few hundred dollars. 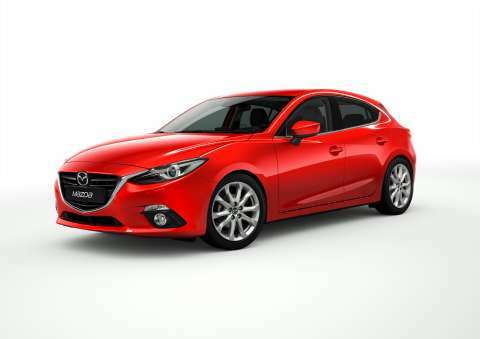 When it comes to small cars there’s always plenty to choose from, with the Mazda3 competing against the Toyota Corolla, Kia Cerato, Hyundai i30, Holden Cruze, Toyota Yaris and more. This is where some savings can be found but not, in this case, with the Mazda and Toyota. Why? There relatively new and not readily available, therefore dealers aren’t prepared to negotiate as hard on these volume sellers. Holden’s Cruze is now into its Z Series mode, which hopefully indicates an update isn’t far off as it’s dating badly against better and more value packed opposition. In the SUV class there’s a car for everyone; Mitsubishi’s Outlander is petrol or diesel or hybrid and comes in five and seven seater configurations. Holden’s aging Captiva is close to the same, with five and seven seats and either petrol or diesel, however the Captiva’s age counts against it. Nissan has the new X-Trail so there’s no doubt a few of the still brand new but superseded version around and Ford has the Kuga, Kia the Sportage (due to be updated soon) and the sister car, Hyundai’s ix35. Kia offers capped price servicing for five years but Hyundai currently offers just three. 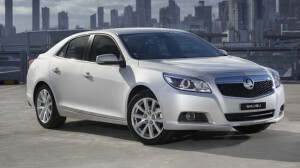 In the mid sized category Holden’s Malibu has been struggling against cars such as the Toyota Camry. It’s not a bad drive but hasn’t inspired people to buy it nor is it as fuel efficient. But, as a result, dealers will be more eager to help you into one, as will Private Fleet. The next step up is the Commodore/Aurion/Falcon trio, still exceptionally good cars although the market has shifted towards SUVs. 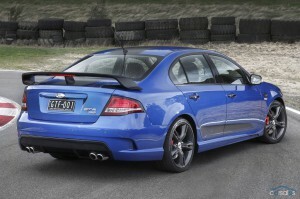 Holden’s decision to drop the pricing on the VF Commodore has helped move plenty of metal however the venerable Falcon should be a consideration as Ford would be willing to sell as many Falcons as possible, especially with the new and, sadly, final model, not far away now. 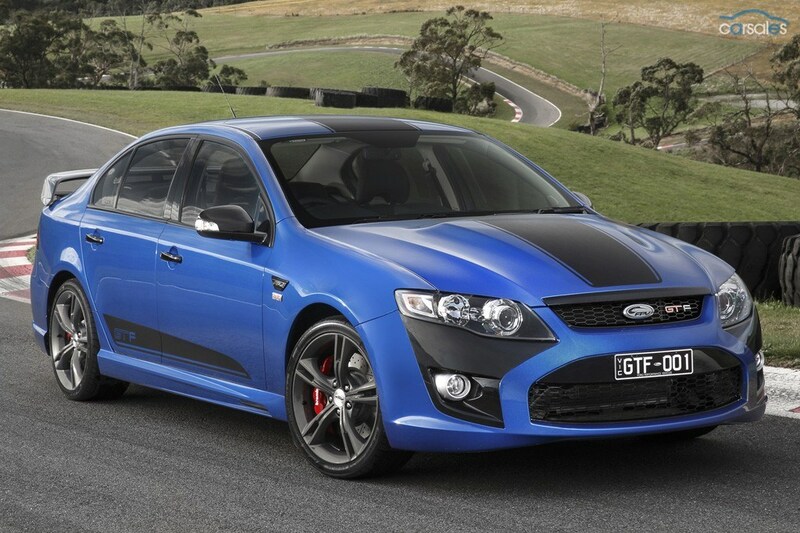 For a bit of a sporting look and feel, the XR6 should be a serious consideration, especially with the automatic being available, if you twist the sales manager’s arm enough, for the same price as the slick shifting manual and there’s capped price servicing to consider. For the tradies there’s the usual suspects to consider, with the locally made utes due to finish in the next couple of years there’s some good buys out there, plus, in the 4WD style, the Nissan Navara and Mitsubishi Triton are due to end their current model cycle very soon, so pricing on them will be sharp. Mitsubishi are doing driveaway pricing on the Triton and a cashback offer, in an effort to entice buyers back to the older chassis. Ford’s Ranger is a cracker and has suffered from a relative lack of supply, but now there’s benefits available for those looking at this Blue Oval ripper. With increased supply and sharper pricing from some competitors some fancy negotiation can help you save some dollars. There’s the Colorado/D-Max twins to consider as well but take them for a drive first and benchmark them against better on-roaders like the Amarok. As always, Private Fleet is here to help you look for a new car and will do everything possible to get you the best price. This immediately reduces the potential this car is expected to have by a massive factor, as the idea of a hybrid drivetrain is to try and reduce fuel consumption. But if you can’t charge the car overnight by a cable then you’re solely reliant on the 2.0L petrol engine fitted to be the battery’s generator, which uses fuel. The Outlander PHEV gives you the option of running the petrol engine as a charge unit or allowing it to kick in and out, almost seamlessly, when required. Given that there’s little charge in the battery without the plug in bit, guess which other option uses more fuel? Mitsubishi’s official ADR figures quote 1.9L per 100 kilometres, from a reduced in size 45L tank. In the space of four days, including pickup from the dealership to home (say 70km) and including a return run to Canberra and back, over a tank and a half of fuel was used, with a worst figure seen of over 12L/100km. The expected range from a full charge is said to be 50 to 60 kilometres, so you can see the lack of a suitable for most Australian homes charging cable really hurt. A Wheel Thing was handed the key to the Outlander Aspire PHEV, complete with satnav, electric seats and sunroof. Like all Outlanders of the current design, there’s plenty of room for the front seat passengers and easily two on the back seat, it’s mostly ergonomically well thought out, with dials and buttons pretty much where you’d expect to find them. Of note, at least in this household, was the placement of the interior door handles to open the door. Almost every instinctive reach would result in a look to see where it was, feeling as if it’s an inch too low. There’s adjustable height seatbelts, with the plastic shroud on the test car provided vibrating and rattling. Plastics are of good quality although the shade of grey on the doors is unusual. The dash display is modified to show the drives in operation, fuel usage and expected range from battery and petrol, accessed via a button on the dash just above the driver’s right knee. Instead of a tacho or rev counter, there’s a dial that gives an idea of being in economical or charge mode. The petrol engine itself is barely noticeable when on charge mode but becomes quite buzzy when utilised for acceleration. It’s no rocket engine, with maximum power and torque, 87kW and 187Nm, both coming at 4500 rpm, whilst generator power is 70kW. Ride quality is decent although there’s a definite sensation of mass at 1800 kilos (kerb weight), with the the suspension (McPherson strut front, multilink rear) absorbing most bumps well, although the short throw travel of the front is noticeable at low speeds over bigger speed bumps. Rubber is 225/18/55s wrapping some very tidy looking alloys. Of some concern is the electric tailgate; there’s a button on the keyfob to raise the tailgate but it failed to activate in around 80% of attempts. Of more concern is the fact that the ‘gate also failed top open at the press of the normal rubber pad in half of the attempts, requiring a lock and unlock of the doors to reset. The drive system is a combination of two electric motors, with 60kW and 162Nm each, mounted front and rear (the PHEV is still off road capable) along with the aforementioned petrol engine. Transmission is a single, fixed gear automatic, with acceleration under full throttle being leisurely yet linear. 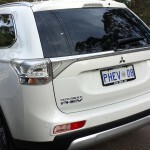 The Outlander PHEV is fitted with a regenerative braking system, with energy being fed back to the battery under braking or rolling downhill, with the amount of brake adjustable via two paddle shifts; in this case they adjust the “grab” from zero to quite a bit and each step can be felt on the press of the up or down paddle. The actual engagement of the drive system is simple: foot on brake, hit start, move the fighter jet joystick to the right to select Drive or Reverse, go. Just ahead of the selector is a Park button, push that and push the stop button and your journey is done. As usual there’s Mitsubishi’s safety suite, including collision avoidance, driver’s knee airbag, hill start control and reverse camera. The satnav is seen on a 7 inch capacitive touchscreen, which folds out to access the CD drive, plus there’s Bluetooth and USB media. The driver’s seat is oddly uncomfortable, even though fully adjustable it never seemed to be in the right spot and the squab has the driver sitting on, not in, the cushion. The Aspire, in its own right, is a decent car with plenty of luxury style spec, as one would expect for a price in the mid $40K range, normally (Aspire diesel $46K). 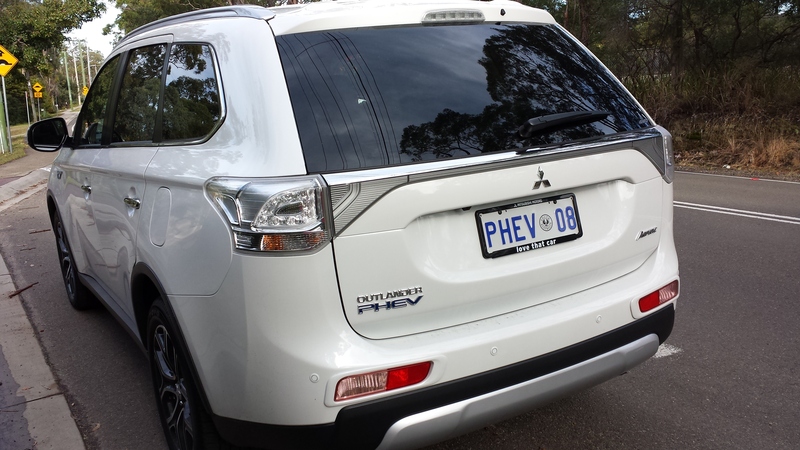 It’s around the $53K bracket in PHEV specification; it drives well enough, looks a bit better after a mid model freshen up but the lack of a 10 amp charge cable (Holden’s Volt comes with one standard) severely and seriously restricts its flexibility and therefore its useability. 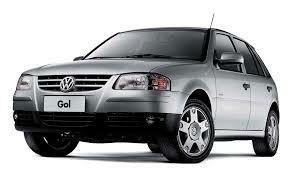 So, in honour of the current FIFA World Cup, here’s the low-down on the surprisingly popular VW Gol (not to be confused with the VW Golf , another vehicle with a sporting name). Thankfully, I’ve got enough Spanish to get the info off the Mexican and Argentinian websites. The Gol is a rather popular hatchback that has been in production since the 1980s, although it’s gone through a few upgrades and updates since then, like most cars. Similar to the Golf and other small hatchbacks, it’s got a smallish engine (1.6 litres, in-line four-cylinders, 101 horsepower at 5250 rpm, 143 Nm at 2500 rpm) and it’s got a 5-speed manual transmission. It’s designed to run on flex fuel, which isn’t surprising, given the Brazilian taste for ethanol biofuel. It’s got a few bells and whistles like Bluetooth preparation, a decent stereo system, air con, fog lights and electric windows (part of the exterior trim on the Argentinian versions of the Gol Cup include a decal of the national flag!) It’s also pretty cheap. 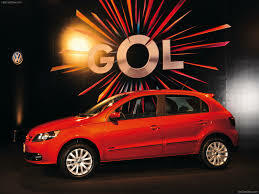 The Gol comes in a number of versions, with the Argentinian VW site listing the Gol Trend and the Gol Cup (I wonder what this crossover/light SUV is named after), and the Mexican site listing the plain Gol and the Gol sedan. It seems to be pretty popular. So why aren’t we seeing the Gol on Aussie roads? It’s the safety. The Gol is cheap because they cut costs in the safety department (thankfully, this isn’t true of the VWs we get over here). It got one star in the Latin American NCAP tests, at least according to one source. However, the Gol Cup does boast airbags and ABS brakes (something the Mexican site for the Gol didn’t mention – nothing turned up on the safety/security page at all). Three-point seat belts of the ordinary kind, are listed as a “feature” of the base model. From my own memories of the cars on South American roads (Peru and Bolivia in the late 1980s in my case), even ABS brakes and airbags is pretty good going. As far as I could make out, the only roadworthiness test was whether or not the car started and could run. Seat belts were optional and squashing several people to one seat was considered sensible (I’ve been one of eight people crammed into a Beetle – three in the front, four in the back and one (me) in the boot). Buses would trundle along with holes rusted out in the floors where you could see the road passing underneath. Scary stuff, although we took it all in our stride, like the other quirks of life over there. Safety may also be the reason why other Brazilian-made WV models don’t make it over here. There are quite a few of them that are unknown here. On the Mexican and Argentinian sites, alongside familiar names like the Beetle, Passat , Amarok , Polo, Touareg, Scirrocco , Tiguan and Jetta , you’ll also find exotic names like Fox, Crossfox, Suran, Bora, Sharan, up!, Nuevo Vento and Saveiro. But who knows? If they are decent safety-wise, we may yet see them over here. 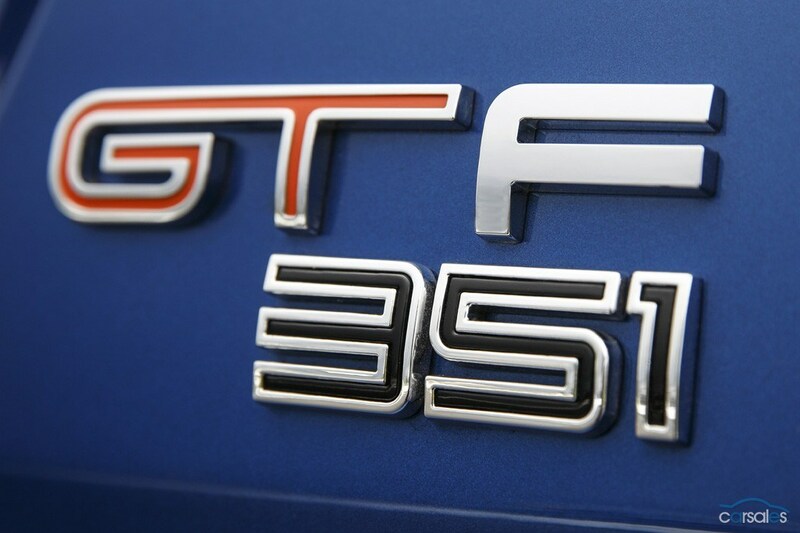 Gran Turismo Falcon: Ford Unleashes the 351kW GT-F.
Ford Australia stayed with its tried and true “drip feed” teaser campaign in the lead up to today’s (June 10, 2014) release of the GT-F from Ford Performance Vehicles. Looking remarkably like anything from the V8 range in the FPV stables, it’s the thing filling the gap between front wheels and bonnet that has followers of the blue oval all excited. The supercharged 5.0L beast is said to have 351 kilowatts, in reference and homage to the iconic 5.8L V8 found in Falcons of the 1970s. 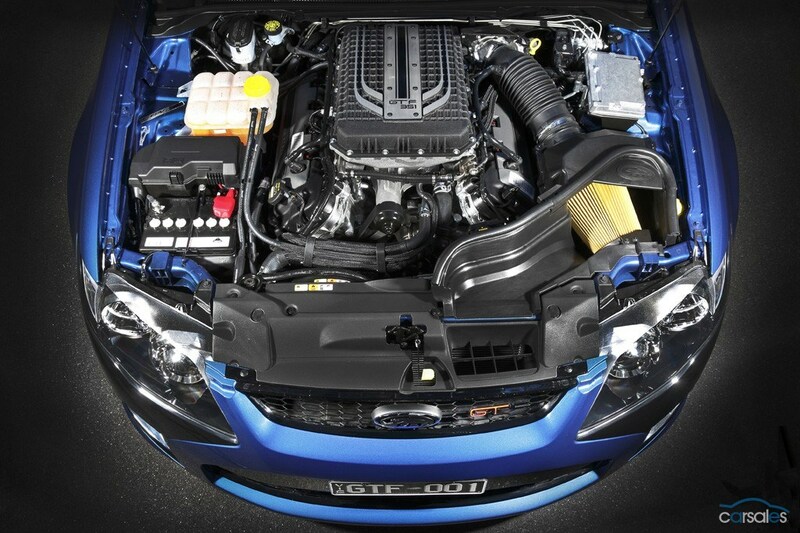 Rumours already fly in regards to the true output, with some sources quoting over 400kW with what Ford calls an overboost function. Torque is sizable with 569 Newton metres available, allowing a sub five second zero to 100 kmh time. Externally, Ford offers this: in what’s claimed to be a direct salute to the Falcon GTs of old, the GT F features bonnet, roof and rear deck black-outs that FPV says are “unique” to the model. The GT F is also gifted a “distinctive ‘stealth’ exterior striping package” as well as gloss-black accents on the ‘raccoon eyes’, grille, applique, rear diffuser, door handles and mirrors. 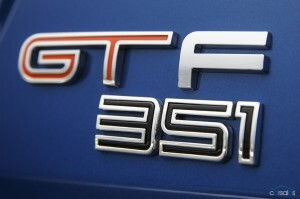 This, says Ford, ensures “the GT F is unlike anything that has come before it”. The interior has also had a bit of a wand wave, with an enhanced infotainment system featuring a G sensor, uprated seats with the logo embroidered in and GT Orange highlights on the dials, seat stitching and badging. Such is the attraction of the 351 numerals, virtually all of the 500 cars built for Australia (50 for New Zealand) were presold, with one dealership, Sunshine Ford on Queensland’s Gold Coast being lucky enough to be allocated build number 351 in a Ford ballot, subsequently bought by a loyal customer. This particular customer, a long standing client, has gone to the trouble of securing Queensland registration with the numbers 351 on the plates. Engineering wise, apart from the semi-tame atomic bomb under the bonnet, there’s retuned springs and shock absorbers, wider wheels, reinforced real lower control arms, stiffer upper control arm bushes and suspension strut mounts at the front . These come from the firecracker RSpec sedan so it’s a well proven package and should ensure a crisp, sporting ride. For those that are able to enjoy race circuit track days, Ford have also engineered in rear camber bolt adjustment. Transmissions are six speeds in both auto and manual. 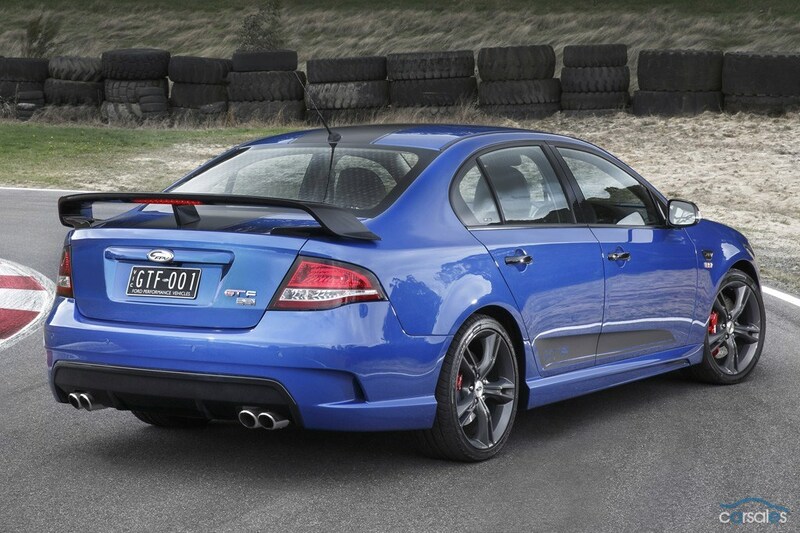 At $77990 plus ORCs, it may not be cheap but the sheer amount of torque and ponies will see it well placed to take on more expensive competition plus annoy the “other” big hitting Aussie brand, HSV. With the cars largely being bought by investors, their return is sure to be positive. Pink Parks for the Ladies? Who finds parking an easy task? I don’t mean the parking one does on a secluded country lane or in a quiet town. I mean parking in busy city streets; the parallel parking manoeuvre that, perhaps, is on a slope. Even some of the shopping mall car parks are quite tight to get in and out of. 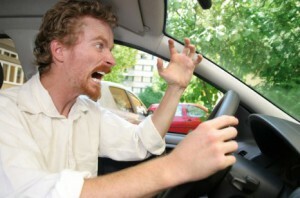 It’s one of the facets of driving that often is the least liked. Parking can be many drivers’ worst nightmare. Are women better drivers than men? Can men park better than women? I really don’t know the answer to that. I do know some very capable drivers from either gender, so I sit on the fence on this one. 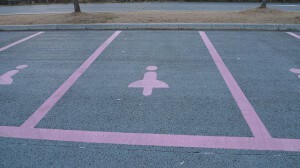 South Korea appears to have not-so-subtly suggested that some car parking spaces be left for the men and other parks be women-only! I’m not sure that designating car parks by gender is all that popular, however South Korea has introduced parking spaces for women-only. Yes, they are different to car parks that the men can use; these women-only car parks are, in fact, longer and wider. They are also frillier and prettier with their pink outlines. Another feature of the women-only car parks is that they are labelled with a figure of a person wearing a skirt. That can only mean that these car parks are for South Korean women, and I suggest female tourists who hold a car license. Do you think that this is a great idea? Who actually thinks that men are better drivers than women, or at least park better than women? I do find the every-day car parks around the shops are very narrow at the best of times – but that’s the same for everyone. Maybe those on the city councils, and shop owners themselves, are trying to create more car parking by narrowing the parks down, even more. New cars do seem wider than ever, even with smaller engines under the bonnet. This is a fascinating topic. South Koreans have also resurfaced the pavements areas around the women-only car parks with a spongier pavement to make it easier to walk on in high heels. Also, these women-only parking areas a placed closer to the shops, receive better lighting, and I think have toilets for ladies close at hand. Men caught parking in pink women-only car parks receive a hefty fine. Is this something we need to look at in Australia? It’s certainly a very gallant and endearing way of charming the ladies! Over time, I have started to notice that our complex cultural foundation consequentially provides us all with curious personality traits. one of the most fascinating is our ability to animate the inanimate. Most of the time its when something goes wrong of course. The classic example comes when you stub your toe on your coffee table, and yet you put all fault on the coffee table as if it got up and moved in the way of your toe. If it was the case that the coffee table had animated abilities, I can imagine it flinging its arms (well, legs) in the air and violently protesting at our inability to accept personal fault for anything we do wrong. Whether it is blaming a wooden table for your clumsy toe stubbing, or having a ‘conversation’ with your pet (seriously, cats cannot understand you, nor can they speak English), we often enter into some form of emotional relationship with the world around us, whether it is living or not. There is no more prevalent example than that of the automobile. At the end of the day, the car is nothing more than a selection of raw materials, cleverly blended together and combined to create an internal combustion engine attached to a passenger compartment atop a foundation of wheels. Surely a car is nothing more than a means to an end? They take us exactly where we want to go; none of this public transport malarkey. And yet, it is not that simple. Over time, something has happened; an evolution has risen from the darkness right under our noses. The car is no longer a vehicle. She’s a lady. She’s a friend. She’s a member of the family. It was just the other day when this realisation reared its devastating head. My current lady has been with me since last September, since she was passed onto me by my dad after he moved onto a younger woman. Since our union, our relationship has blossomed with me growing accustomed to her ways. However, until the moment my world came coughing, spluttering and misfiring down around me, I had yet to realise the truth of the relationship. A day like any other; how could any other day take such a downward spiral? As I drove along, my usual smooth ride was replaced by misfiring, jerking and what appeared to be an engine that was on the way out. Having your engine cut out on you at 40mph is definitely a moment that sees an exponential rise in clenching. Luckily enough for me, I was able to drag her sorry self into a local car park and call the AA. No, that is not alcoholics anonymous, by the way. I was told that the problem was most likely one of an electrical nature, and repair would involve either replacing the spark plugs, the coil, or something much more expensive like the catalytic converter. It was as I stepped back to see the AA man reaching into the heart of my car that I realised that she truly is just more than a car to me. It was like watching a surgeon performing open heart surgery upon someone I love very much. The hardest hit came slamming home when her engine still felt so rough; my little girl was fighting consciousness and it was painful to watch. It was finally decided that her ailment was too strong to be cured on site, so now I find myself playing the waiting game. My lady sits dormant until she can be seen and saved. Britain has the National Health Service, and considering what may have to be done to her, I wish there was a NHS for cars. But she deserves nothing but the best, and I will do all I can to bring her back to health. You notice that throughout my narration of my woes, I referred to my car in the feminine. Ever since the evolution of the mechanical and engineering world, the creations of humanity have often been given a female personality. The most famous of these would be cars and ships. For women are a true force of nature, and they deserved to be respected as such through the personification of our machines. Cars have become part of the modern family. Many would still call it stupid, but many of us have formed emotional attachments to our cars. They are such an important part of our world, it is only fitting that we project a little part of ourselves onto them. In a similar manner to our pets, we know we do not truly understand our cars. Like the coffee table we know they are but an inanimate object. Alas, we still treat them as one of our own. If it is as ridiculous as many of you cynics would claim, then why is it such a widespread occurrence to name your own car and give them a personality? Psychologically, the car is a place of both familiarity and freedom; we devote a lot of time, money and love into maintaining our motor machines. There remains few other aspects of our lives that require such an attention and time scale. 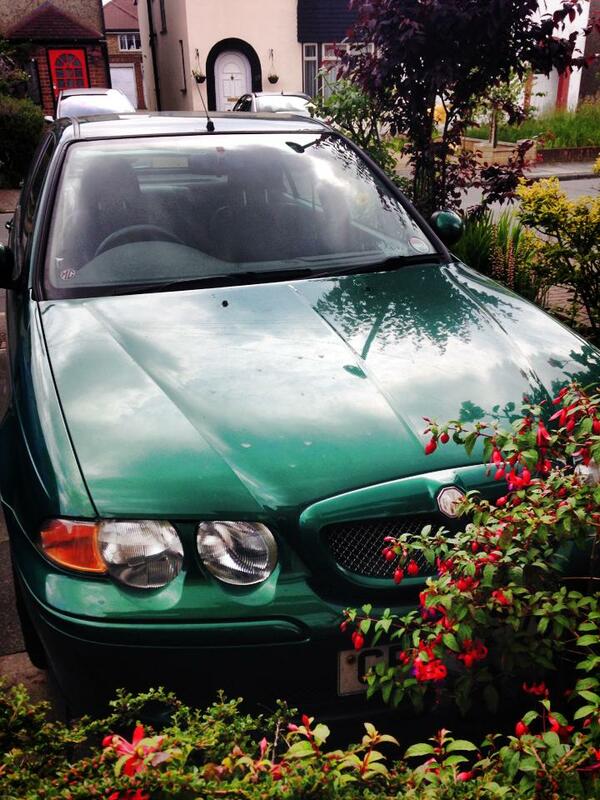 Saying goodbye to an old car has similar outbursts to that of seeing an old age relative for the final time, or waving goodbye to your children as they go off and start a new life away from the family home. Such a phenomenon is not limited to those who enjoy the automotive world; the reaches of such an affliction can take hold of any of us. I have known friends who have little to no interest in cars, talk about cars using only their name as if they were a brother or sister. I believe that this is not something to judge, it is something to celebrate. And as these words of mine draw to a close, I sit and wonder as to the fate of my own machine. For my lady has fallen ill, and it will take life saving surgery to bring her back to her once glorious self. I used to be full of skepticism when people would get so attached to their cars, but now I understand. The motoring world is becoming ever more engrained into the human sphere. Is it only a matter of time before cars start developing their own personalities? Will there be a future where man fuses his consciousness with the machines? Follow me on Twitter @lewisglynn69! Nissan has already tried to bring us the self-driving car. 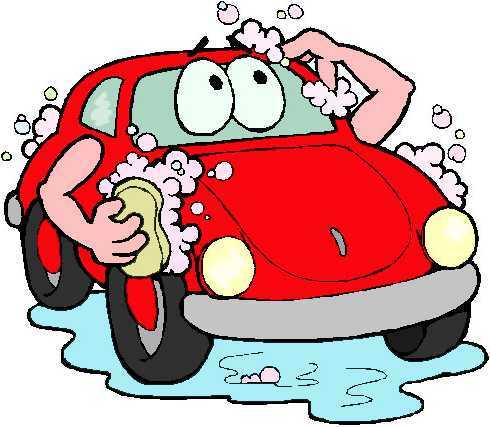 Now the Japanese manufacturer is trialling another innovation that may spell the end of spending Saturday morning out there in the driveway with the chamois leather and buckets of soapy water. Yes, Nissan has unveiled the prototype self-cleaning car. The self-cleaning property of these Nissans is thanks to the paint finish, so, in theory, it can be applied to any vehicle. Nissan’s paint boffins have worked with a company from Florida to develop the new paint, with the company from Florida having already put in the hard yards for developing self-cleaning this and that. The paint finish uses a patented substance called Ultra-Ever Dry. This stuff has chemical and physical properties that make it “super-hydrophobic”. This sounds like it’s something to do with mad dogs with rabies but “hydrophobic” in a chemical sense means that this stuff absolutely hates water. It repels water. This means that water doesn’t cling to it and it just rolls off like… like water off a duck’s back but even more so. What has this got to do with self-cleaning and how is it better than the wax we already put on our cars? Well, water just can’t settle on the surface and neither can anything that contains water. This includes mud, which always contains water. The same applies to bird crap and most other things that get splashed onto cars (including wet concrete, according to the manufacturers). Thanks to the fancy paint finish, all these water-based things just roll off and don’t linger on the paint. Ultra-Ever Dry also repels some oils as well, meaning that the majority of oil-based substances won’t stick on the paint either. They have put this finish through its paces. This sort of torture test involved driving through a whole bunch of mud puddles of various consistencies at various speeds and seeing if the mud stuck or not. In the promo video created by Nissan Europe, you can see mud the consistency of porridge being splattered onto the car. It sticks on the half without the finish but just rolls off the half with the finish (watch it here). You won’t see it in the clip but they also put it through rain, snow, frost and sleet with the same effect. The finish does more than just keep paint looking good. It also helps protect against rust and corrosion, which nearly always involves water lingering on the metal. It is possible that the self-cleaning paint finish will be available as an option on some Nissans in the future, although the Nissan Europe clip mentioned above seems to suggest that it may be standard on some new models. However, even with the self-cleaning paint, the days of soapy water may not be totally at an end. The manufacturers of Ultra-Ever Dry state very clearly that their product can’t be used on glass, especially not car windscreen glass, as it doesn’t dry clear. So we’ll still need to wash the windows. Ultratech, the people who make the Ultra-Ever Dry, have more information about their and some more video clips showing what you can make their product do. It’s not just for cars – it’s got a lot of potential. Those who aren’t into Nissans needn’t despair. It is possible to buy a paint protector containing Ultra-Ever Dry that you can apply to your car but it is not cheap. It’s also not clear if the distributors of this product ship to Australia at the moment. 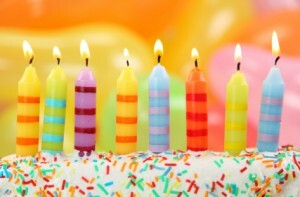 Milestone: 500 Posts on Private Fleet’s blog. Winter is officially here, so now is a great time to check your tyres, for both age and depth of tread. 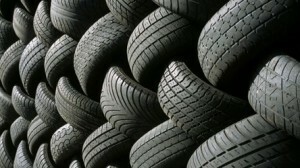 Age as rubber does dry out and become brittle over time if not looked after and depth because it’s those grooves in your tyres that pump out the wet stuff when the roads get rained on. Lesser grooves means more water under the tyres which can lead to aquaplaning and a potential crash. Private Fleet is here to help you get as best a deal as possible on a new car but we’re also here to provide information, buying tips and share information. That information, in various ways, is also shared via Private Fleet’s blog and THIS is the 500th blog article! It’s a huge thanks to the team at Private Fleet for the effort they put in every day helping you buy a new car, but it’s also thanks to YOU, the buying public for staying with Private Fleet, letting your family and friends know what we do, telling us what a great job the wonderful team at Private Fleet have done to get you into your new wheels. Just as important is the thanks that go to the contributors to the blog since its inception; there’s been many a great article covering all aspects of the automotive and motorsports fields and, as a contributor, I’m proud to be part of the team. Happy 500 blog articles, Private Fleet, here’s to many more!